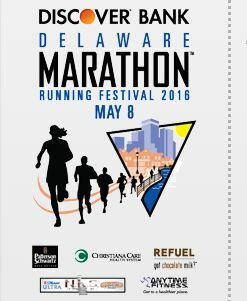 The Delaware Marathon: 1 Week To Go! At least, assuming I make it through this marathon without losing a toenail again. 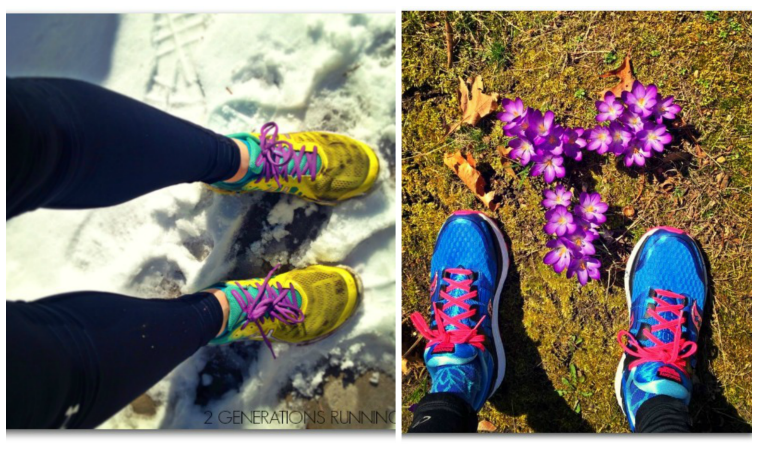 Running through the slush has finally given way to sunshine and flowers. At the beginning of this whole process, my mom and I talked a lot about our goals for this marathon – namely, qualifying for Boston. Like so many other runners, I desperately want to run that qualifying time and earn my spot in Boston, especially now that I’m living in the city and feel so connected to its running culture. For me to qualify, I would have to beat a 3:35 time by a couple of minutes, which translates to between an 8:05 and 8:10/mile pace. It’s fast. Really, really fast. For the most part, my training has gone well. There were some schedule adjustments and missed runs due to work travel and weather, but looking back, I know I did the absolute best I could. I will have no reason to feel any regret on Sunday, no matter what happens because I have given this my all. From the 4:30 wake-up calls, to running in the snow and rain, it’s all been worth it. Based on the pace I’ve been typically hitting on my long runs, it’s just not realistic for me to try to go out there and run an 8:05 average pace for 26+ miles. It’s not going to happen, and I risk bonking hard if I try. So, I’m choosing to be responsible, and set aside the BQ goal (temporarily). This will only be my second marathon, and I have a lot of years of running ahead of me. I feel like I learned a lot through this training cycle and have some really solid ideas about what I need to add to my typical running regimen to make myself a stronger athlete. My end goal is still that BQ, but I know there is some significant behind-the-scenes work I will have to put in (even before beginning a training cycle) to get there. I’ve accepted that and made my peace. So then, what are my goals for this race? Here they are, in ascending level of difficulty. A big PR. I was not in the best shape for my first marathon, so I’m confident I can achieve this. This would be anything faster than 4:36. Unless I fall and break my ankle or something else disastrous, I know I can do this. Sub-4 hours. Based on my half marathon times and the paces I’ve been hitting, I think this is completely doable. Run a 3:45. I have to say these last 2 goals will be heavily influenced by the weather. It’s looking like the high of the day will be around 70, so it’s going to be warm. So there you go, I’m laying it all out there! Mainly, I’m just really excited that the race is finally here. I feel like it’s been on my mind for the past 6 months and at this point, I’m just ready to see what happens. My mom and I will be road-trippin’ up to Delaware on Friday to avoid the long drive the day before the race. Wish us luck!! 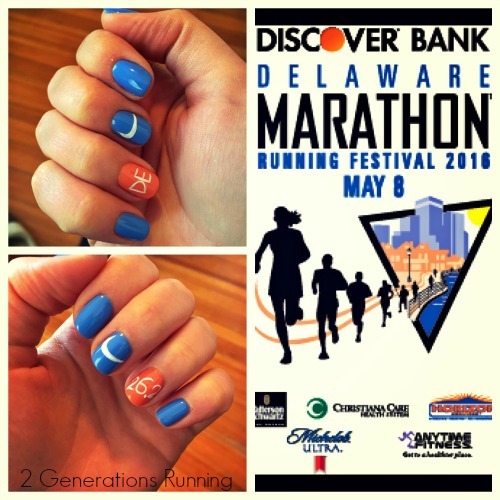 This entry was posted in Uncategorized and tagged 2 Generations Running, Delaware Marathon, Discover Bank Delaware Marathon, Marathon Training, Race Nails, Running, Thoughts of a Runner. Bookmark the permalink. By all means, good luck! Safe travels, too. Good luck! I love your race-themed nails! what a fun mother’s day!!! good luck!